Models express not only information about their intended domain but also about the way in which the model is incomplete, or “partial”. This partiality supports the modeling process because it permits the expression of what is known without premature decisions about what is still unknown, until later refinements can fill in this information. A key observation of this paper is that a number of partiality types can be defined in a modeling language-independent way, and we propose a formal framework for doing so. In particular, we identify four types of partiality and show how to extend a modeling language to support their expression and refinement. 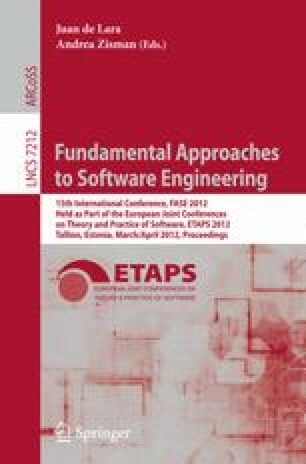 This systematic approach provides a basis for reasoning as well as a framework for generic tooling support. We illustrate the framework by enhancing the UML class diagram and sequence diagram languages with partiality support and using Alloy to automate reasoning tasks.